And here’s my exciting news for this month: I will be writing and publishing the next four books linked to the Rogues of Ravensmuir and the Jewels of Kinfairlie. This new series, which tells of the romantic adventures of the next four Lammergeier siblings, is called The True Love Brides. 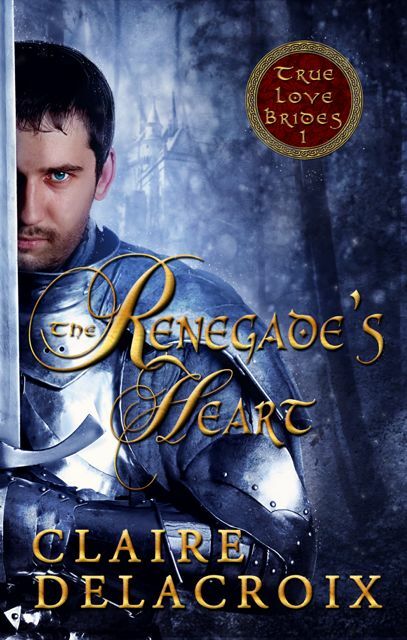 Book #1 in the series, THE RENEGADE’S HEART, will be available in May, in both a digital edition and a print-on-demand trade paperback edition. The cover is – once again – by Eithne. Are you as excited as I am?! There is a new page over at the Château for this series, and an excerpt from THE RENEGADE’S HEART already posted. Head on over and have a look. This entry was tagged celebrations, digital releases, kinfairlie, medieval, publishing, ravensmuir. Bookmark the permalink. Thanks Deb – I’m having such fun with Murdoch’s story. I’d forgotten how much I love to write medievals.